In part 2 of this episode, I chat about the link between music and language learning with my polyglot friend Fiel Sahir. Olly: Good morning, everybody, welcome back to the podcast. If you are just joining us, if you are new here on this episode, then you're right in the middle of a fascinating two part discussion all about music and the link between music and languages, where the musicians make for better language learners. I left you on a cliffhanger on the last episode, so we're going to get straight back into the discussion here. Before we do that, I'd like to thank the wonderful sponsors of the podcast, which is a language company called Italki. 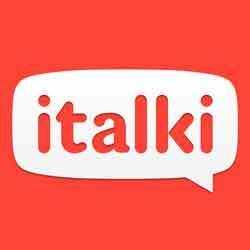 Italki give you the options to have lessons online with professional language teachers. Wherever you are in the world, you can take lessons, practice speaking, with native speaking teachers from lots of different countries. If you'd like to get a free lesson, you can go to IWillTeachYouaLanguage.com/freelesson. Now, at the end of the last I posed a problem to Fiel, which is this; when you're learning a piece of classical music, you're learning fixed notes. You know exactly what the notes are going to be and preparing something very organised and controlled, but when you go to speak a foreign language you don't know what's going to happen. You don't know what the conversation's going to be, you don't know what words you're going to have to use. Surely this is the point where the parallels between language learning and music start to break down. Here's what he said. Fiel: In that case, I think speaking languages is a lot more like jazz. I think that's something you're more qualified to talk about than I am, because I just play whatever's on the page and add my emotions to it. What would you say? Olly: It is a huge difference. Classical music and jazz are very, very different. There are various different kinds of jazz, just as there is with classical music with improvised elements, there's a broad spectrum. In general when you talk about jazz, we're talking about perhaps a tune or a melody that is performed, which tends to be quite brief, but then you have a longer, more extensive improvised section where you take the harmonic progression of the tune that you just played and you improvise on it. That goes round and round and you just play and you make stuff up. The kind of focus, the feature of the jazz performance is that improvisation, and most jazz musicians are assessed or graded on their ability to improvise. You think who is the greatest jazz musician in the world? If you're asking that question in the 90s or the 2000s, the name Keith Jarrett would come up a lot, because he is generally regarded – perhaps not any more, but for a long time – as the world's best improviser. Not the world's best learner of pieces or learner of tunes to perform, but the world's best at taking a chord and improvising. With jazz, we are practicing the fundamentals, we're learning how to improvise; melodically, rhythmically, harmonically over a particular chord sequence. We're learning the rules, if you like, and when to break them, which is just as important in jazz. Then, when we actually come to perform, all bets are off, it's up to you. You improvise, you make it up, but that making it up is informed by the rules and the things that you know how to do. In that respect, it's very related to language learning, very related to speaking. In terms of practice, when I practice jazz, I'm not doing what you're doing with that Vilo Lopez piece, because with that Vilo Lopez piece, you're practicing the same notes over and over again and learning to perform them in the most exquisite way. Jazz is not like that, the practice is learning the best way through the chord sequence in a particular piece. How to improvise over that chord sequence in such a way that you manage tension and you release your resolve in a harmonic way, all while creating a nice melody through the improvisation. Maybe that's what I mean when I say my memory and experience of the performance of jazz helps me with speaking languages, because I see a lot of parallels there, you never know exactly what's going to happen. When you're playing jazz you're dependent on the bassist, the drummer, just as in a conversation you're dependent on the person you're speaking to. Still, there is an element in the jazz of repetition, you're learning a 16 bar chord sequence, 32 bar progression. It's very different from learning an entire language and how to deploy it and use it. I guess with the language it's, I've got feelings and hunches, but it's very difficult to say exactly. I think the one thing is that I always spend a lot of time practicing functional language when I'm speaking, so ways to introduce ideas, ways to react to what someone said. You could call them like milestone parts of the conversation, things that have to happen. I guess that's very similar to the jazz practice. I don't know, I don't want to over draw the parallel here, but I think there is a huge amount of stuff to compare, if only in the respect that you have to be comfortable with the uncertainty of not knowing exactly what's going to happen. Fiel: I think this is probably one of the first times that I can think of that people are actually discussing this from two musical backgrounds. There's a lot of things we can attack, we're thinking out loud as well right now. Olly: There's on thing we haven't touched on in this conversation, which is the role of accent pronunciation. This is what most people – this is kind of their go to thing when they talk about what's the link between music and language. Most people think you have a good pronunciation or good accent in your languages because you're a musician. People say to me all the time I guess you're able to produce the tones in Cantonese or Thai because you've got a good ear. I don't know, because I don't know what it's like not to be a musician, so it's kind of difficult for me to know. I think it's fair to say that I do have a good ear and that comes from the music for sure, and I tend to feel like in general my pronunciation and my accent, my production of language is pretty good, and I'm sure there is a connection. Maybe you could talk about that for a minute, in your experience. Olly: It's not just Americans, by the way, English sounds pretty much exactly the same. Fiel: Yes, I think it's the English in general, the language just gives us all these sounds. If we take [Spanish 00:08:47], the problem is we're not able to hear that, the sounds are shorter [Spanish 00:08:56] and the rhythms are different. For instance, if I take Indonesian, if I was going to say [Indonesian 00:09:03], I just introduced myself, my name is Fiel. [Indonesian 00:09:10] it's very short, everything's very staccato and is very sharp. English is not like that. We're very round, we're very kind of wavy. That's the main thing, being able to hear the different As in each language and that each language has a different mouth set, just like a classical guitarist is not a flamenco guitarist on a jazz guitar. Olly: When I think about the areas of listening and pronunciation that I think might be helped by a musical background, the example that you gave is one of the areas that I don't immediately think of. I've noticed that one kind of pet peeve of mine in language learning, one thing that I often fail to understand is the difference between short and long vowels. I have this in Cantonese sometimes, where you have a big difference between saying [Cantonese 00:10:18] in Cantonese. If I'm just listening, I often won't hear that, because especially when people speak quickly, that difference between the short and long vowel reduces to the point where it's almost indistinguishable. That's something that I struggle with quite a lot. To keep taking the Cantonese example, because that's what I'm working on at the moment, there are lots of slightly different consonant sounds which don't really exist in English, you've got a different spectrum of consonant sounds, which are quite hard. I find it difficult to hear those. I don't know the extent to which having a musical ear helps you across all ranges of pronunciation, but the area which I do feel fairly confident in is that of the sentence level stuff, like sentential things such as sentence stress or things like that. I feel very attuned to the melody of a language, like the typical Brazilian Portuguese song like intonation, or the sort of tight, constrained Spanish very limited range of pitch, or the slow, cautious, methodical panther like Japanese way of expressing ideas in a sentence, or the Cantonese tones which just take you melodically all over the spectrum. I feel like I pick up on those really quickly, just the same way as when you introduce yourself, like I just said then, “Introduce yourself”, you've got a very clear contort to that sentence. You've got not only a rising falling pattern, introduce yourself, but you've also got a stressed word there, which is introduce, then one of the syllables withing that word, duce. Anyone who's looking to improve their English pronunciation is going to listen to that phrase, introduce yourself, and try to get that right. I feel like I'm pretty good at picking up on the shape and the form of those kind of sentences in other languages. I kind of feel like for me it's more of a macro scale than a micro scale. Does that make sense? Fiel: Yes, I agree with you. When you were talking about introduce yourself, other examples – English does this a lot, one word can have two meanings depending on the stress of it. Here's your present. Do you want to present? Here's my address, in American English, and then today he's going to give an address. It's totally different things. Olly: Sure, word stress. Desert, dessert. Different languages are different, because English is a stressed timed language. You need to get that stress right in order to speak properly, whereas with Spanish it's a syllable timed language, you don't have that same necessity. Every language has those words where you have that word stress and you need to get it right. Is that something that comes naturally to you, or you struggle with, or what? Fiel: I think in the beginning everyone struggles with it, but I've also found that after having learned a few languages you get better at it, because you can compare it to your native language. I've also been surrounded by the Indonesian community. In Indonesia, we have 300 different ethnic groups and 700 different languages. There are people from all over all the time, and my dad speaks a few other languages, he's picked up on those, so he'll speak in those to those people from there, so I could hear different accents. I was born in Portland, Oregon, and then I moved to New York when I was 10. Hearing people talk like this, it was like, oh, my God, that's disgusting. Do I want to have this accent? No. So, I chose not to. Hearing that compared to your real accent, you kind of have a dictionary of sounds in your head that you can pull out at a different time. Olly: I wonder if people who grow up with multiple languages have a kind of training that's similar to that of a musician? So, someone who grows up speaking English and Chinese bilingually, or someone who – a typical situation here in the UK, a child has a Polish mother, a Spanish father and goes to an English speaking school, so they grow up with exposure to three languages. I wonder whether that exposure gives you the kind of sensitivity that you get from studying music. I guess it must be fairly similar, because you have to get used to distinguishing things, right? Another way of approaching that question would be what is it exactly about the musical training that gives you the sensitivity in your ear to pick up on different things? What element of your musical background do you think gives you that sensitivity? Fiel: I actually would say my musical background doesn't give enough. The guitar, for those of you who are watching the video, it has frets and each fret makes sure the note stays in tune. If you play one of the other stringed instruments; violin, viola, cello, you have to be able to know exactly where to place your finger on your instrument. If not, it will be out of tune. It's that forced desire to sound good,but also to know what is actually right that causes us to strive for it. Our teachers are also on our case, and there's a whole bunch of people looking around as well. Side note is that it's interesting that people specifically from Asian countries like Korea and China, mainly China, tend to have perfect pitch across the board. For those of you that don't know, perfect pitch is when you're able hear a note or even a sound and tell someone what the note is. Olly: Is that true that they tend to have perfect pitch? Fiel: They also have much more musical training from an earlier age over there. Olly: What's the perfect pitch attributed to? Fiel: Some do say it's the tones, but I would also back it up with a lot of ear training from when they're young that we in the States just simply do not have. You learn all this music theory once you get to conservatory, conservatoire. Olly: That's a big difference. In Europe, the ear training is pushed right from the beginning in lots of mainstream music teaching. Fiel: I think the other thing is we don't really go to our local conservatory or conservatoire. Most people go to a local teacher. Sometimes you have music schools around, but usually a lot of it is very YouTube based now. It tends to be the ones that can afford it that go straight to the music schools. Olly: We could go on for weeks, I'm sure, but one thing I want to touch on before we finish is the implication of all of this. What do we have to say to somebody who is – someone listening to this or watching this now, who has no musical background and is learning their first foreign language? I can understand how someone in that position might be feeling I don't have a hope. I have no music, I have no language background, what am I supposed to do? I've got my own thoughts about that, but what's your reaction to that problem? Fiel: I think it's easy to forget why we do something in the first place, especially if you go to a language even where there would be LangFest the Gathering, the conference. You meet all these people with all these badges and they've got all these languages on there with these stickers and you get intimidated, but the whole point is to communicate with people. The reason you learned a language is to love out loud through conversation. What I mean by that is just listening to people, getting to understand people from different points of view. Maybe in the states you just cannot stand Trump supporters. Take the time to talk to them. Maybe you kind of have a prejudice towards Hispanics, because you hear all these stuff on the news. Go to one of their restaurants and talk with them. Say, “How did you get here? Let me understand a bit more of your culture”. I think that, for me, is the main point, is to enjoy people. Olly: Are you saying that your ear and the accent doesn't matter? Because I think it does. Fiel: It does, but it's not most important. Olly: I guess looking back on the various years that I've spend with music and languages, all of this stuff is learned. None of us are born with this, we get at it through hard work. A lot of the gains you get fairly early on, so with just a small amount of musical practice or musical training, or a small amount of dedication and devotion to languages, just with that, I think a lot of the gains come quickly. It's not the case that you have to do this for 20 years in order to experience these gains. All of these things can be and are learned through deliberate practice and repetition and learning and focus. I think the worst thing of all is for people to think I don't have this natural talent, or I don't have this background, therefore I cannot X.
Fiel: That's a whole other podcast, talking about talent. Olly: It is. I just kind of wanted to plant that there, because I'm just conscious that most people don't have the extensive musical training that we do, but I would hate for it to come across as a requirement to be a polyglot or to learn multiple languages. I think we'll draw that to a close then, but this has been absolutely fascinating. It's great to see – we've got a lot of similar experiences and ideas I think, but it's really refreshing to hear these ideas spoken about from someone that's not me, so thank you for that, it's been really great. Where can people connect with you if they want to learn more about you or look you up? Fiel: People can find me on Between3Worlds.com, where I discuss loving out loud, having better conversations with people. I talk about music and languages a little bit, not too much. I focus more on just getting at the hearts of people, and more humanitarian things. Also if you guys are interested, Olly will put this in the show notes, we talked about chunking and we talked a bit about stage fright, I've written an article on Shannon Kennedy's blog, Eurolinguiste, specifically on chunking and how to practice your language like a musician learns his music. There's also a post, which is not yet posted but will be, on Lingual Lift's blog on stage fright and how to conquer it. Olly: We'll put a link to those in the show notes, and maybe I can persuade you to write something like that for my blog. Fiel: Sure, I'd be more than happy to. Also, I almost forgot, I did do a talk on this at the polyglot gathering, Olly will also put that in the show notes, and it kind of gives a big philosophical run through. I know it's a lot of information, but the main point is to get food for thought in your minds and then just grow what sticks out to you most. Olly: It was great to talk to you, man. All the best, and enjoy the rest of the day and the rest of the spring and the summer and the rest of the year in New York. Fiel: Thank you so much, Olly, it's a pleasure. Look forward to hearing from everyone. Olly: Talk to you soon. What a great conversation. I really, really enjoyed that, and I hope you got something out of it as well. If you would like to check out any of the links that we mentioned here, Fiel's blog is at Between3Worlds.com. Three, the number three. He's also got a video of him at the polyglot gathering, giving a similar talk on this topic, and a bunch of other stuff as well. Everything is going to be in the show notes to this episode. You can find them at IWillTeachYouaLanguage.com/episode181, so definitely go and check that out. Also, I'd really love to have your comments if you've got any thoughts on this. Maybe you're a musician yourself and you have some thoughts on the link between music and language learning, please go ahead and let us know there. Likewise, there is a blog post that I've written recently, I guess it's a more concise summary of my thoughts on the link between music and language learning. You can find that as well in the show notes. Once again, IWillTeachYouaLanguage.com/episode181. Thank you so much for listening. It's been a pleasure having you on as always, and I'll see you back in the next episode of the podcast.